Ultra 4 IFS Housing deserves only the best IFS axle shafts. 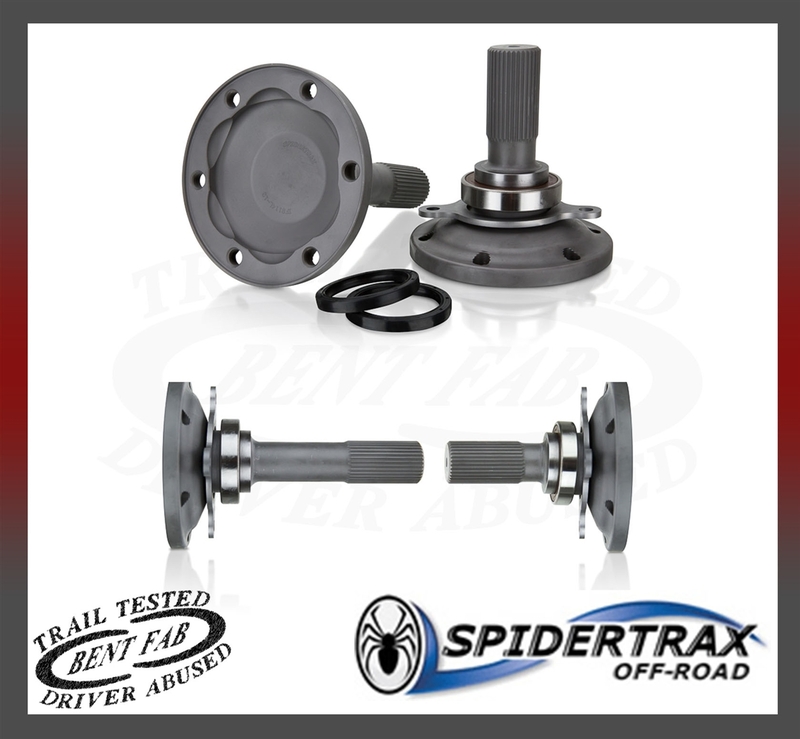 Spidertrax Series 30 CV 35 Splined 300M Billet IFS Differential Shafts delivers on that need. Solid as an axle shaft pair, complete with bearings, bearing retainer & collar, and seals. These Series 30 IFS Differential Shafts are designed specifically for a Gearworks locker -OR- spool. **Currently out of stock Call for more information. **If you are looking for custom axles. We proudly use Spider Trax products. Contact us to schedule your custom axle build. Spidertrax images and product information are © Copyright Spidertrax, used with permission. Additional images and product descriptions are © Bent Fabrication. joints, with ample misalignment for sharp steering and long suspension travel. backing plates and a chromoly heat treated bearing collar. the tightest tolerances in the market. Aerospace standards, complete with double tempering & cryogenic treatment.